Dr. Eric D Wachsman, Director of the University of Maryland Energy Research Center, is the William L. Crentz Centennial Chair in Energy Research with appointments in both the Department of Materials Science and Engineering, and the Department of Chemical Engineering at the University of Maryland. He received his Ph.D. in Materials Science & Engineering from Stanford University, and his B.S. in Chemical Engineering from the University of California at Berkeley. 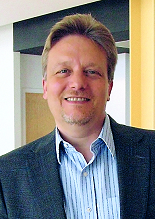 Dr. Wachsman is a Fellow of both The Electrochemical Society (ECS) and the American Ceramic Society (ACerS). He was formerly Chair of the High Temperature Materials Division of ECS. He currently Chairs the Interdisciplinary Science and Technology Subcommittee and the National Capitol Section, and serves on the Board of Directors, Technical Affairs and Fuel Cell Subcommittee of ECS. In addition, he is Editor-in-Chief of Ionics, on the Editorial Board of Scientific Reports, Energy Systems, and Energy Technology, and a member of the American Chemical Society, the International Society for Solid State Ionics, and the Materials Research Society. He is a recipient of the 2014 Sir William Grove Award from the International Association for Hydrogen Energy; the 2014 Pfeil Award from The Institute of Materials, Minerals, and Mining; the Outstanding Invention of 2013 award from the University of Maryland Office of Technology Licensing; the 2012 Fuel Cell Seminar & Exposition Award; and the 2012 HTM Outstanding Achievement Award from The Electrochemical Society. His research is focused on solid ion-conducting materials and electrocatalysts, and includes the development of solid oxide fuel cells (SOFC), solid-state batteries, ion-transport membrane reactors, solid-state gas sensors, and the electrocatalytic conversion of CH4, CO2, and NOx, using advanced ion conducting materials. He has more than 230 publications and 12 patents on ionic and electronic transport in materials, and their catalytic properties, and device performance. Dr. Wachsman is a frequent invited panelist on fuel cell and hydrogen energy research, ranging from the US Department of Energy “Fuel Cell Report to Congress” and “Basic Research Needs Related to High Temperature Electrochemical Devices for Hydrogen Production, Storage and Use,” to the National Science Foundation “Workshop on Fundamental Research Needs in Ceramics,” NATO “Mixed Ionic-Electronic Conducting (MIEC) Perovskites for Advanced Energy Systems,” and the National Academies “Global Dialogues on Emerging Science and Technologies.” He also serves on numerous boards and was appointed by the Governor to the Board of Directors of the Maryland Clean Energy Center.